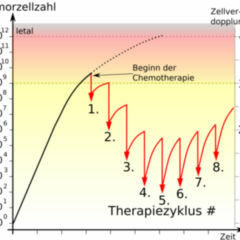 Even in the final stage of cancer, patients often receive palliative chemotherapy. They benefit neither from more lifetime nor from better quality of life. Scientists therefore demand that treatment decisions be managed with a sense of proportion – and in particular to communicate better. Despite good predictions, doctors and pharmacists do not always succeed in treating malignant diseases successfully. It’s here that palliative approaches come into play, in order to improve the quality of life. According to estimates, almost every second patient receives oncology towards the end of life – not always to his or her own benefit. Already last year the “Coping with Cancer” study delivered few edifying indicators. Dr. Alexi A. Wright and Professor Holly G. Prigerson from Boston analysed data from 386 patients with metastatic cancers. The projected life expectancy was a maximum of six months. At the beginning of the survey 56 percent received palliative chemotherapy. 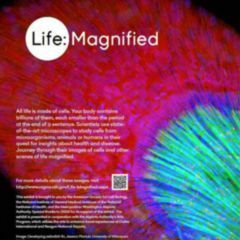 When researchers looked at only the last eight weeks of life, the figure even reached 62 percent. Those who got cytostatics decided not quite as frequently to undergo purely symptomatic therapy (26 versus 39 percent) and were less often aware of the seriousness of their condition(35 versus 50 percent), when measured respectively against the comparison group not using cytostatics. Patients receiving palliative chemotherapy died less often at home (47 versus 66 percent), more often also dying in intensive care (11 versus 2 percent). This group was also in a worse situation medically. Doctors intervened significantly more often employing intensive care procedures than in the comparison group (14 versus 2 percent). A gain in survival time was not able to be demonstrated – a loss of quality of life seems to be possible. 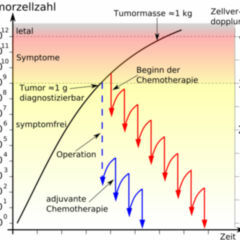 Wright does not believe however that “palliative chemotherapy is pointless during this stage”. Holly G. Prigerson was not content to leave it at that. Her next question: do at least patients with a good general health status profit from palliative chemotherapy? Indicators were delivered by older clinical trials. In order to investigate her hypothesis, the oncologist recruited 312 patients with metastatic carcinomas and estimated a maximum of six months’ life expectancy. Initially, various parameters were recorded, among these WHO/ECOG performance status. At values between 0 and 1 all individuals were able to take care of themselves and pursue normal activities. Shortly after their deaths, trained teams queried relatives on the patients’ quality of life. Again, the result surprised: the study participants neither lived longer nor had a higher quality of life. On the contrary: treatments using cytostatics led to numerous unwanted effects. If the WHO/ECOG status of cancer patients at the beginning was at 2 or 3, no significant positive or negative change was really shown. Charles Blanke and Erik Fromme, Portland, did not let this work pass without comment. In an editorial they write that “chemotherapy only makes sense when the aim is to extend the life of palliative care patients and/ or to improve it “. No issue there. They did not however come to the conclusion from this to dispense entirely with palliative treatments. Prigerson collected WHO/ECOG scores rather inaccurately – in the form of a retrospective survey of lay persons. The researcher also lacked details on the type and dosage of cytostatic agents. Both editorial authors advise physicians therefore to conduct treatment with a sense of proportion in mind – and to involve patients more deeply in decisions. Not all people with cancer were aware of what it was that would be coming with palliative chemotherapy. They drew on false hope and fought, whereas there was nothing more to gain. Communicative misunderstandings also turn up elsewhere. “Studies have shown that a doctor’s assessment of quality of life shows a sort of discrepancy with that of the statements of patients”, says Professor Dr. Dirk Vordermark. Germany. What’s more, therapeutic measures would not always achieve the positives in the quality of life of patients for which doctors had hoped. Therefore oncologists have tested a special tool. In dealing with elderly cancer patients they are focusing not only on using a European standardised basic quality of life questionnaire (EORTC-QLQ-C30), but in addition on a new module questionnaire (QLQ-ELD14). Some outcomes: according to Vordermark, six months after people with cancer received therapy, concerns relating to the future as well as to the burden of disease and to family support were and remained first and foremost the central aspects. In addition, physical condition had often deteriorated. It’s true that it didn’t all have to do with palliative chemotherapy The results can however be applied to studying people with incurable cancers in order to find new ways of intervening.